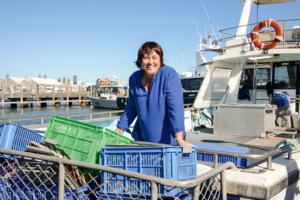 Leonie Noble is currently the national president of Australia’s Women in Seafood Board (WINSC) and has been involved in the rock lobster industry in the Midwest and Abrolhos regions in Western Australia for 35 years. Leonie has a passion for the seafood community at large and believes that the women that work in every facet of Australia’s seafood industry are especially valuable. She is driven by an unshakable belief that everyone’s voice is equal and that it is so important to be able to hear them all. 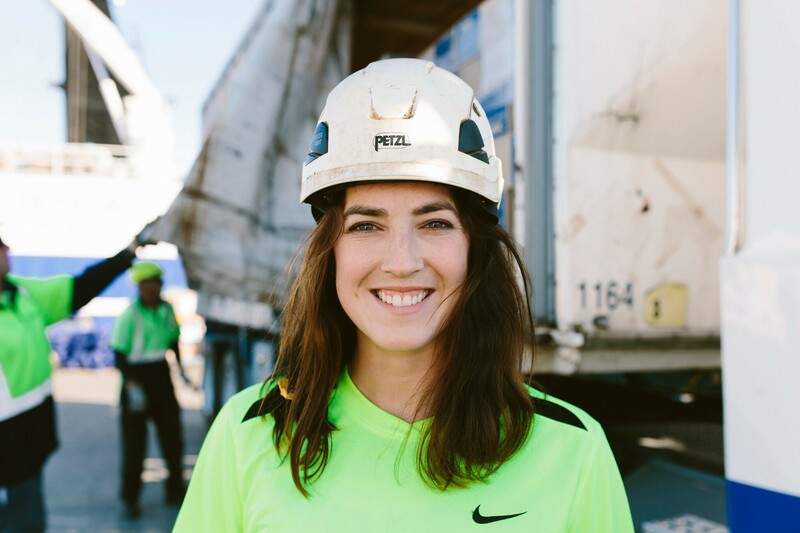 “What I love about being a women in seafood is the people around me and the diversity of the industry,” she says. 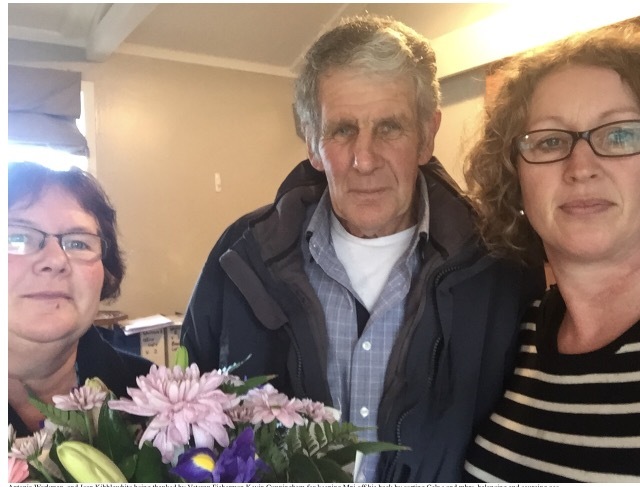 When approached about having an Invisible Farmer tribute written for her, Leonie responded, “I don’t know that I have done enough to have my story included in this project”. Like many other women who work the land and oceans, Leonie speaks modestly about her own work. In reality, she has made significant contributions to the seafood industry, and to her wider community at large. Leonie has sat on a range of ministerial and advisory boards for the Abrolhos Islands including the Abrolhos Islands Management Advisory Committee (AIMAC) and the Rock Lobster Industry Ministerial Advisory Committee (RLIAC), along with president of the Women’s Industry Seafood Community Network (WINSC). She is also vice president of the National Rural Women’s Coalition (NRWC). Leonie has chaired the Western Australia Rural Regional and Remote (RRR) network, and in 2015 she was finalist in the WA RIRDC Rural Women’s Award. This is just to name a few of Leonie’s contributions! 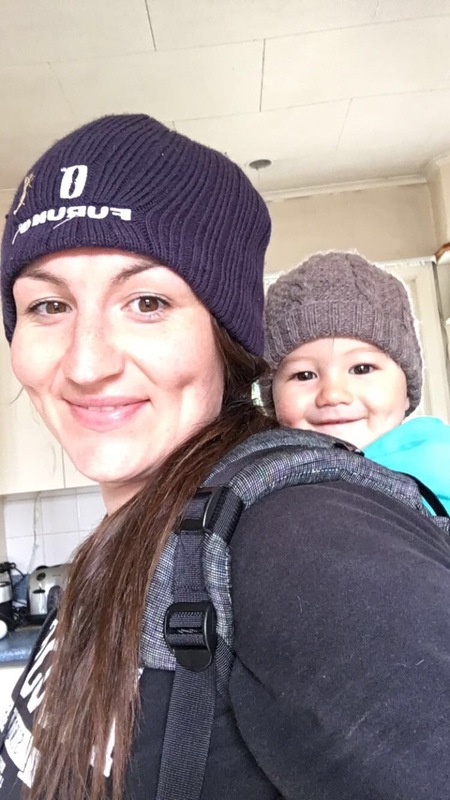 As a woman working in the rock lobster industry, Leonie’s work has been wide and varied. 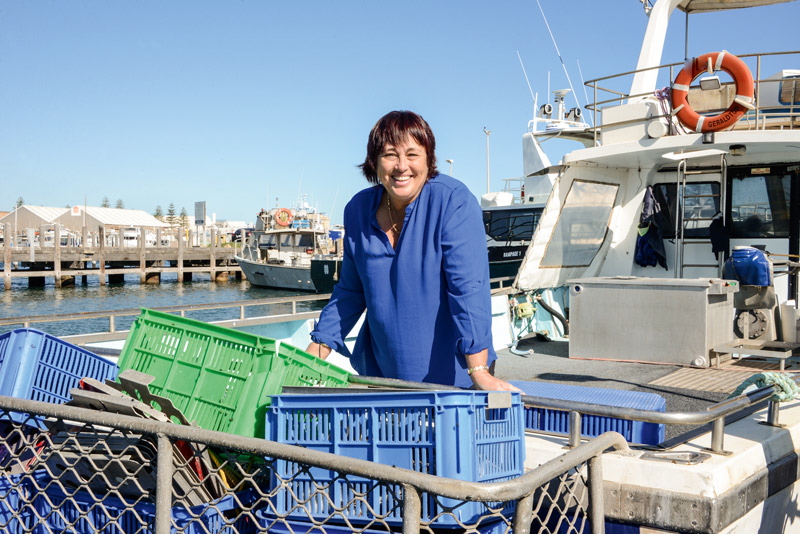 As well as being mother to three daughters, Leonie has worked on decks out in the oceans, established community groups such as “Friends of the Abrolhos”, lobbied the government on issues of fisheries management and represented the interests of fishermen and fisherwomen across Australia. At high-level fishing industry meetings in the 1980s, Leonie was often the only woman in the room. “Men in the meetings would assume I was there to make the coffee,” she says. Leonie is extremely passionate about making the stories of Australian women in seafood more prevalent in the public eye. 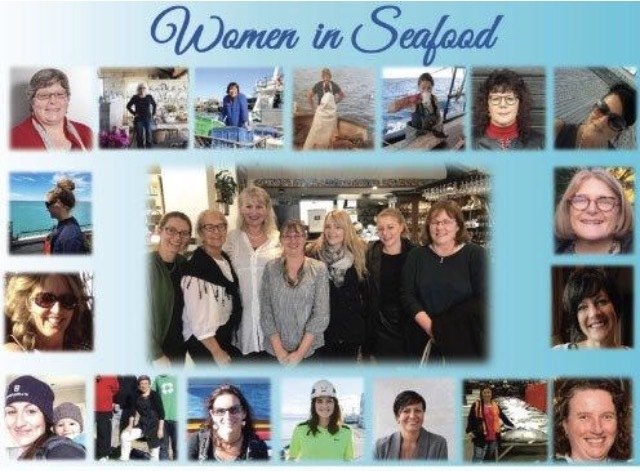 In her role as WINSC president, Leonie has worked alongside her colleagues to increase the visibility of women in seafood. In 2017, she worked with other members of the WINSC group to put together profiles of women in seafood for International Rural Women’s Day. These profiles were featured on the WINSC website and social media platforms and received thousands of views and interactions. “The importance of diversity in decision-making has been proven in every industry and across the world,” Leonie says. 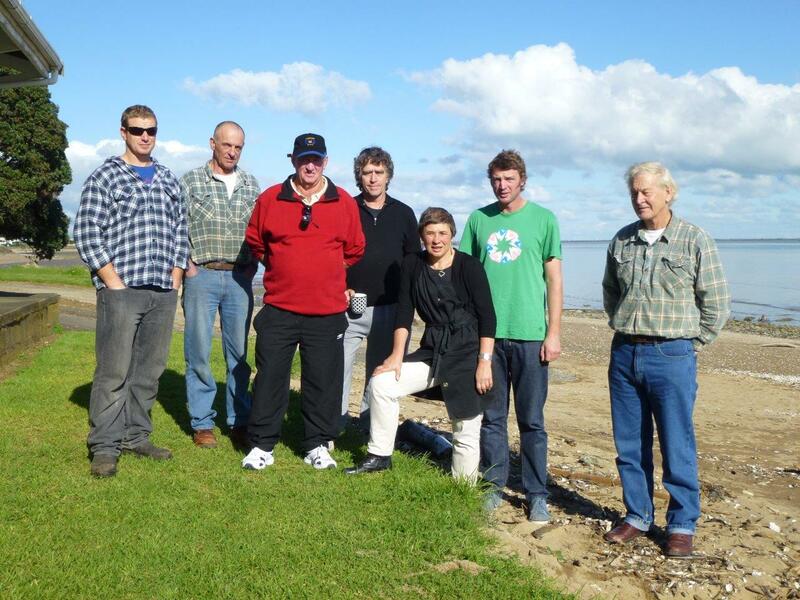 We would like to thank Leonie for all the efforts that she has made within our WINSC organisation, and her widespread contributions to the seafood industry.